Nokia teased a phone on Monday, and despite the fact that only two corners of the phone were showing, it was a decent-sized reveal. The image, above, shows a phone that has a Z and a shift key -- indeed, it appears to be a new Nokia QWERTY phone. The company said that the phone would be revealed at 7 a.m. GMT on Wednesday (meaning 12:00 a.m. PDT). Not only would the product be announced, Nokia added that the reveal would be followed by a Q&A session with Neil Broadley from their Mobile Phones team and a special guest. The implication is that the device is coming from Mobile Phones, not the developers of Nokia's Lumia smartphones. 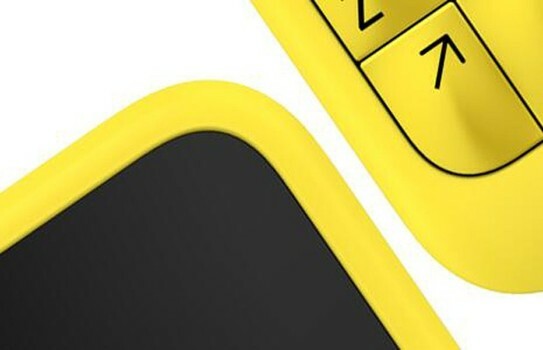 Considering the images show off rounded corners -- as well as the Mobile Phones division tip -- there's a decent chance this device is a revamped Asha phone. Ashas don't run Windows Phone, but instead run Nokia's homegrown S40 platform. They are low-to-mid-range devices. The guest is unknown, and considering the timeframe involved, there's a good chance the device will be of more interest to Asian or European customers. We will, of course, know more after Nokia's Wednesday reveal.